Last month, I was one of hundreds of Greenpeace staff and volunteers who came together to clean up the beaches of Manila Bay. We not only wanted to clean up the beach — one the Philippines’ most polluted — but also conduct a brand audit of the trash to see which companies are producing the most single-use plastic. Our chosen location, Freedom Island, is one of the most polluted areas of the Philippines due to the natural currents that push water into the bay. 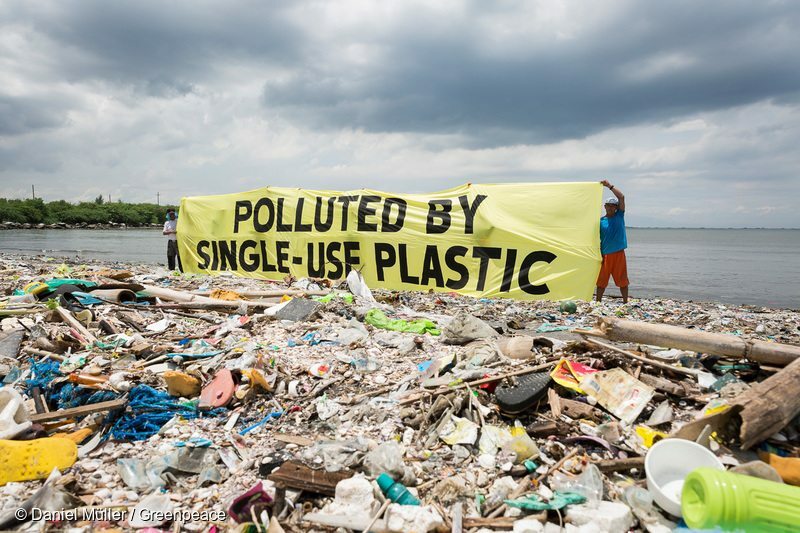 And the Philippines is the third-largest source of plastic pollution in the world as a result of large corporations’ attempts to lock the country into cheap, disposable plastics. Our cleanup gathered a total of 54,260 pieces of plastic waste, everything from from plastic bottles to small sachet bags. 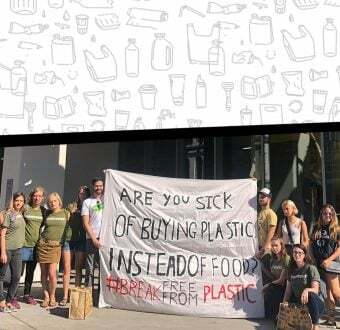 The production of these single-use plastics encourages consumers to purchase in small quantities, making it accessible for people with restricted incomes. However, the result is that 90 percent of these products are not recycled or collected by area waste pickers. Most end up in landfills or in our waterways, where they pose a serious hazard to fisheries and marine life. The issue of plastic pollution is a global one, and now we’re bringing our clean-up efforts closer to home. Greenpeace is gearing up for our historic ship, the Arctic Sunrise, to embark on a tour of the Atlantic coast to protect our communities, our coasts, and our climate. To kick off the Sunrise’s journey in New York City, volunteers will be coming together to clean up local beaches and see which single-use plastic products are polluting our waterways. You can join too! Head here for more info on how to join beach clean-ups along the Atlantic coast — or host your own at a local beach, lake, park, or wherever! 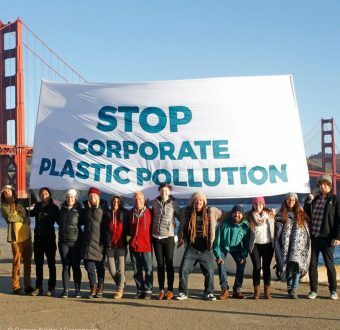 Together we can hold corporations accountable and break free from plastics. 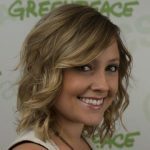 Ashley Thomas is part of the Frontline Campaigns Team at Greenpeace USA. She works to train and mobilize volunteers across the country through Greenpeace’s on the ground fundraising program.